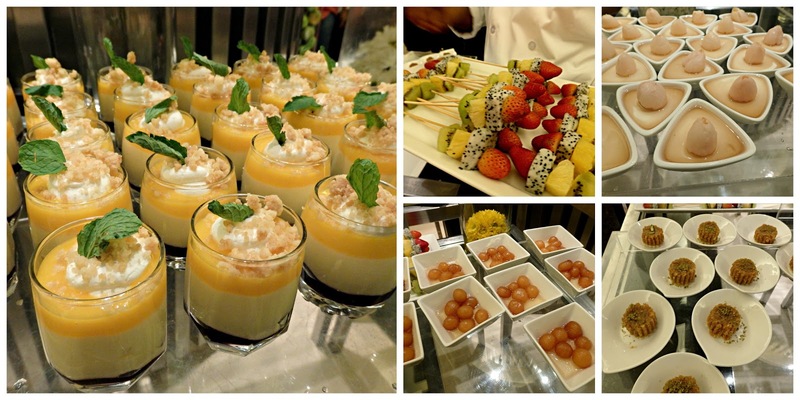 Ever since Masterchef Australia happened, culinary challenges have grown in popularity as the one that took place last Friday at Hyatt Regency Chennai amply demonstrated. 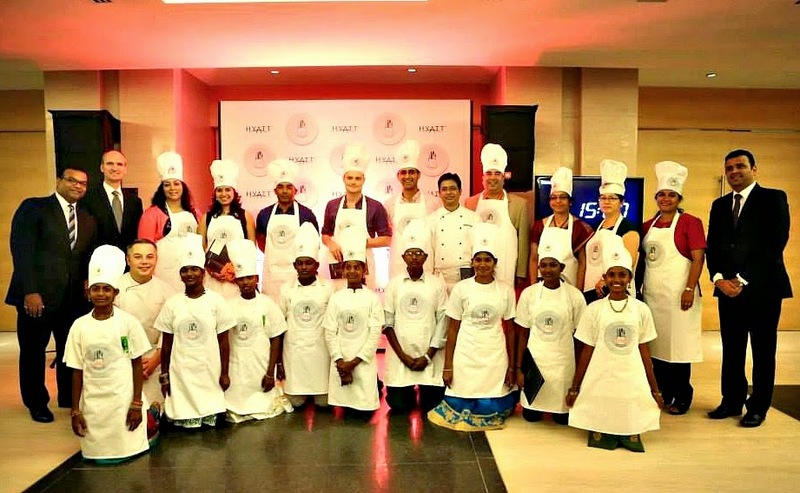 But this was a challenge with a difference - the cooks were CEOs and MDs from the corporate sector and children from the SMILE Foundation, Hyatt's partner NGO in India. 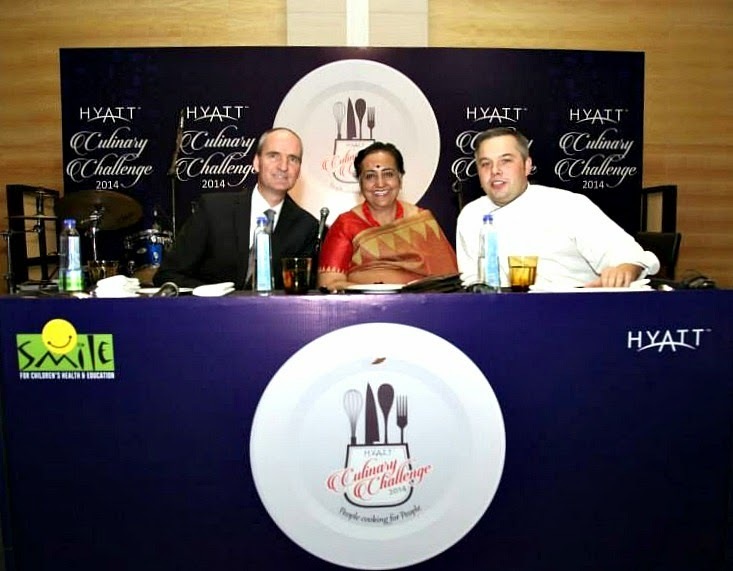 That's not all - this challenge was being conducted simultaneously at 8 other Hyatt properties across India. Titled "People cooking for People", this was the inaugural challenge that from now on will be an annual event. Jointly organised by Park Hyatt and Hyatt Regency Chennai, it was a fun event from the word go. 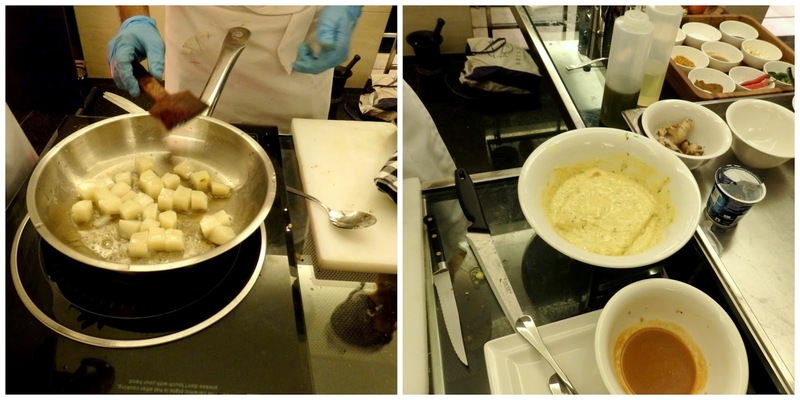 Each corporate head was paired with a child from SMILE and with the assistance of a chef, the teams were to produce a dish of their choosing within 75 minutes. Of course, the dishes were decided beforehand but all the preparation and cooking had to be done within the given time frame. The ballroom foyer at Hyatt Regency was set up with 9 cooking stations. Ingredients and equipment were neatly laid out. At the sound of the gong, the teams, with aprons and toques on, rushed to their respective tables and for the next several minutes, there was a frenzy of cutting, chopping, sauteing and sizzling. Chefs from the Hyatt kitchens were the sous chefs for the evening. As for the head honchos of the different companies, they must have surely felt the heat from the kitchen - pressure of a different kind!! The Korean team was making bibimbap, vegetables of all colours were being neatly sliced into even batons by the junior chef. 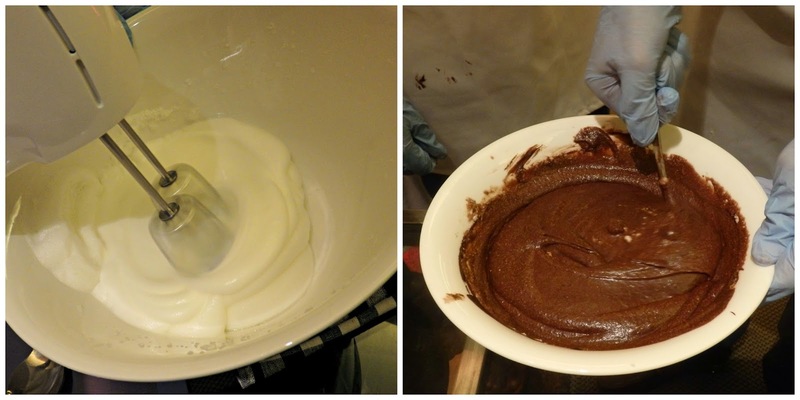 At the lone dessert station, chocolate was melted carefully, egg whites and cream were whipped to soft peaks before being combined. Oh, it was delicious dessert alright and well named too - Chef's deepest darkest chocolaty secret!! At another one, there were fillets of fish marinated in secret spices, potatoes were diced and sauteed to make fusion fish and chips. At the Russian table, chunks of lamb were cooked with spices, carrots and whole garlic bulbs. At yet another table, ground pumpkin seeds were steamed and made into a curry. Very soon, tantalising aromas from various cooking pots and skillets filled the room and well wishers egged the participants on. Tasty leftovers from the shepherd's pie!! Other contesting teams were neck deep in the making of shepherd's pie, poached fish and even Anglo Indian style roast chicken. As the challenge wound down, portions were plated, deft finishing touches were given and the countdown began. The dishes were then ceremoniously carried to the panelist's table by the cooks. Participants were called on stage to describe what they had made and then the judges tasted the dish. Soon enough, the decision was made and the first prize was awarded to plov- the meat and rice dish from Russia. The second prize was for the unusual pumpkin seed curry. The winners were felicitated but for them, I'm sure there is no resting on their laurels. 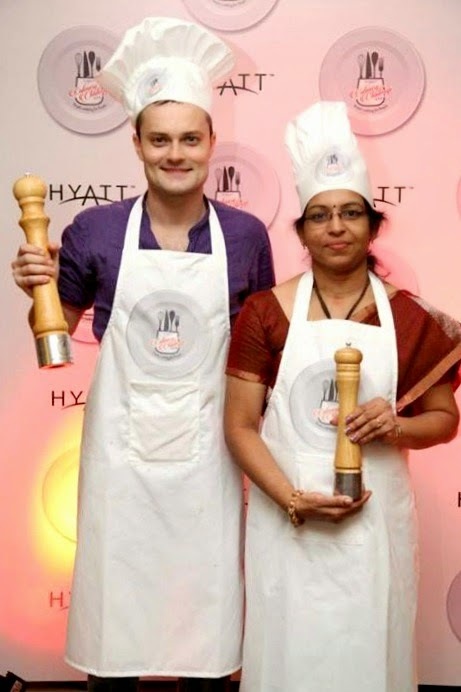 On November 22nd, they will be at Delhi to cook off against the winners from the other Hyatt hotels. Cheering the teams and encouraging them on was indeed very hard work for us the audience, hence we were served delectable canapes and a scrumptious dinner. The SMILE Foundation is a pan India development organisation whose welfare projects benefit hundreds of thousands of children in villages around India. It provides them with education, healthcare and a livelihood. This organisation is supported by civil society which is also involved in all their welfare enterprises. Top picture courtesy Park Hyatt Chennai.